Position a rack in the centre of the oven and heat the oven to 425 F. Grease the bottom of a 9×13 inch baking dish using the softened butter. Peal, pit and cut the peaches in half. Sprinkle the cut sides with cinnamon. In a small saucepan, bring the maple syrup, salt and ¾ cup water to a simmer over low heat. Stir occasionally. On a floured work surface, pat the dough into a 4×6 inch rectangle. Using a floured rolling pin, roll the dough into a 12×18 inch rectangle, lightly dusting with flour to keep from sticking, if necessary. Cut the dough into 6 squares. Place a peach cut side down in the center of each piece of dough. Pull the four corners of each piece of dough up and over each peach, pinching edges tightly to seal. Transfer the dumplings to the prepared dish in a single layer in two rows, about ½ inch apart. Pour the hot syrup around the dumplings. Brush the dumplings with milk and sprinkle with sugar. 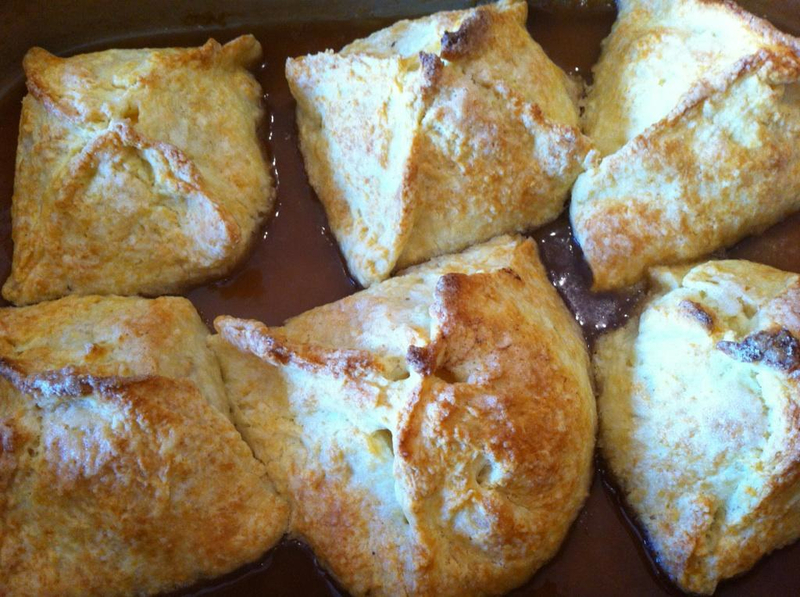 Bake until the dumplings are golden-brown, about 25 minutes. Let cool in the baking dish on a wire rack until warm, about 15 minutes. Serve with ice cream or whipped cream. Adapted from Fine Cooking magazine, Aug/Sept 2013. 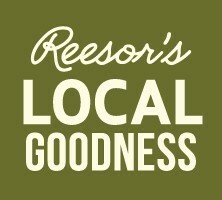 This entry was posted in News, Recipes and tagged dumplings, Farm, Ontario, peaches, Recipe, Reesor, Reesor's, Stouffville. Bookmark the permalink.